You'll fall in love with their minimalist aesthetic. The experience made such a strong mark on Allue that she knew she had to at least try and bring her experience in Japan to Manila. And, even in the middle of busy BGC, % Arabica keeps its Zen. 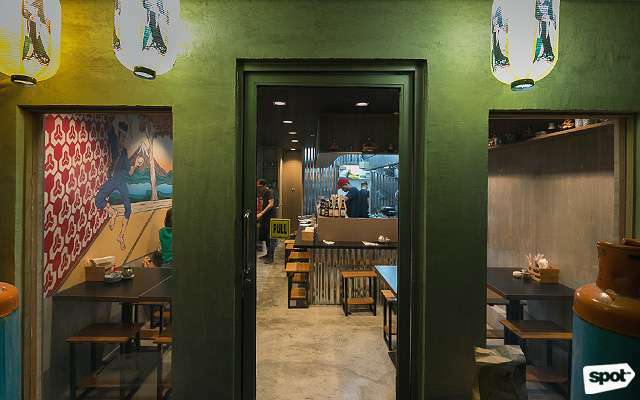 Their first Philippine outpost feels like a sanctuary away from the noise and frenzy of Manila, with décor in light wood and a bare concrete floor that channels the minimalism of its Japanese counterparts. Apart from that, a high ceiling and abundant natural light from their huge windows effortlessly brighten up the space. 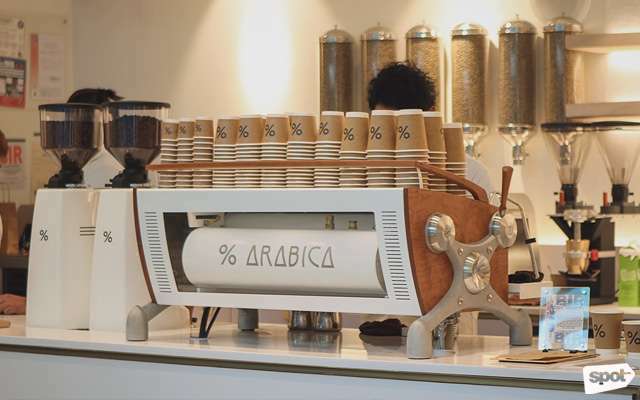 They also have % Arabica’s signature wood-accented coffee machines. 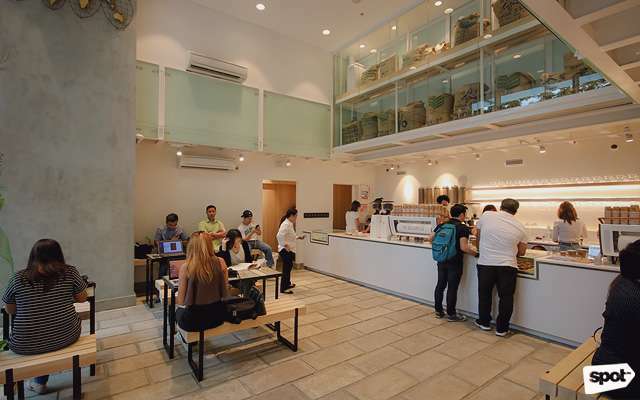 Founded in 2014, the Japanese café is the brainchild of founder Kenneth Shoji, and World Latte Art champion Junichi Yamaguchi. 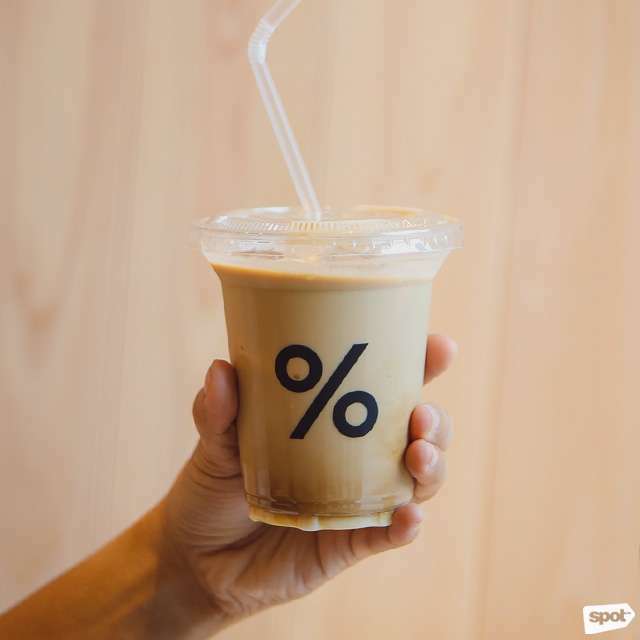 On their official website page, Kenneth shares his pretty straightforward reason for opening % Arabica: “I really need an amazing cup of coffee every day.” From the simple dream grew a franchise that now has 13 branches worldwide. They are expanding to 26 more countries in 2018. 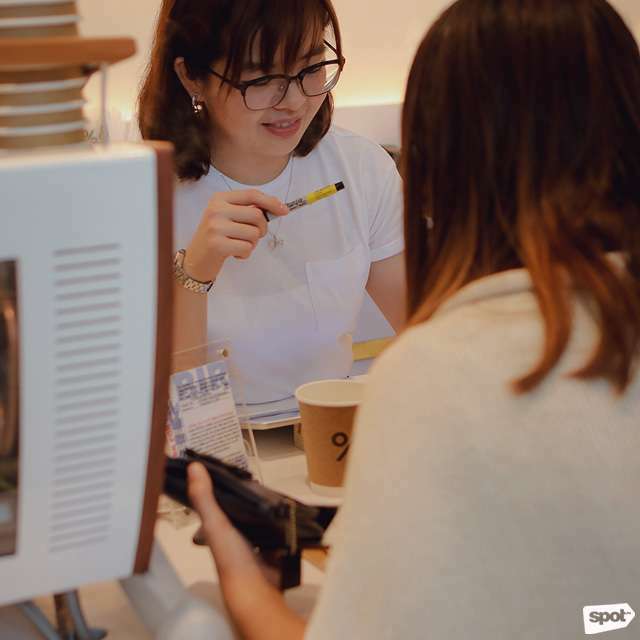 Allue shares that they’ve also kept the same menu as Japan’s, but with a few additions from % Arabica branches around the world. You can choose between the signature Arabica Blend and Single Origin, which changes regularly. Right now, they are offering single-origin beans from El Salvador. 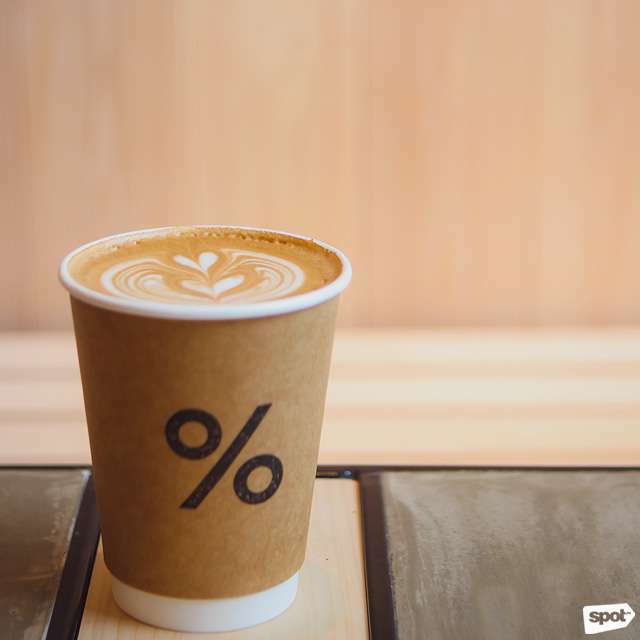 If you want a nice cuppa to fuel you throughout the day, opt for the Caffe Latte (Hot: P150/short Arabica, P160/tall Arabica, P170/short Single Origin, P180/tall Single Origin; Iced: P160/tall Arabica, P180/tall Single Origin), which you can have either hot or iced. A must-try for those with a sweet tooth is the Spanish Latte (Hot: P160/short Arabica, P170/tall Arabica, P180/short Single Blend, P190/tall Single Blend; Iced: P170/tall Arabica, P190/tall Single Origin), a drink they’ve adapted from % Arabica‘s Middle-East branches. Steamed condensed milk adds a touch of sweetness to your drink, without masking the coffee’s true flavor. If you need a stronger caffeine punch, grab the Espresso Macchiato (P130/Arabica, P150/Single Blend), which is a shot of espresso with just a little milk. 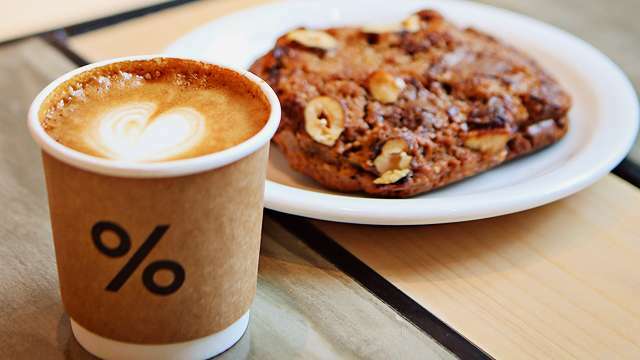 Aside from coffee, % Arabica also offers a short menu of food items. 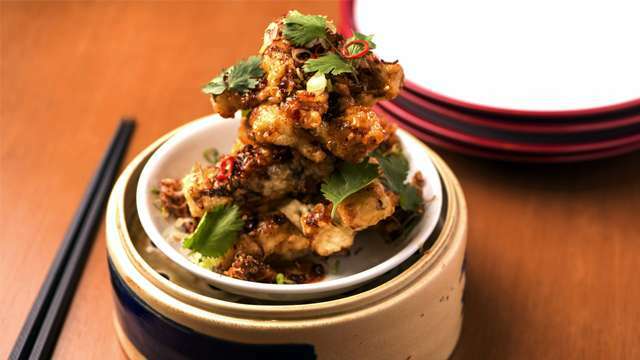 “We just wanted to have food that complements the coffee,” says Allue. The plan is to introduce five items, but right now, the Chocolate Nut (P110) is enough to satisfy. 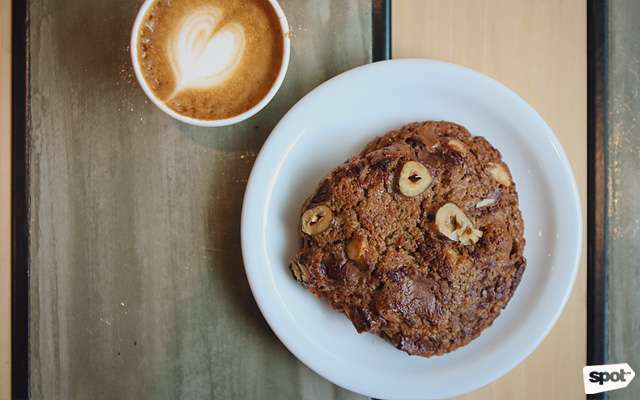 Chunky with nuts and chocolate, but never crossing over to cloying, it’s the perfect partner to a cup of their coffee. 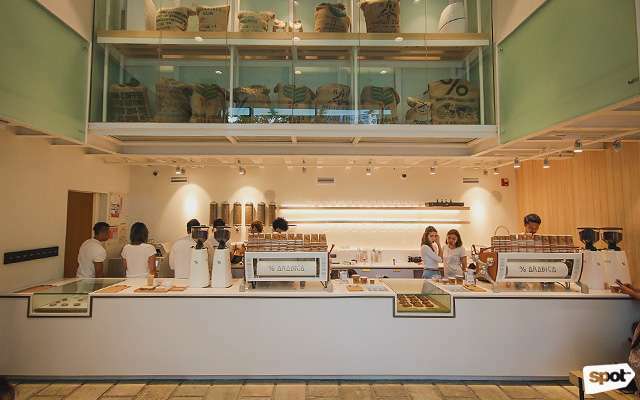 % Arabica also offers fresh beans which they can roast for you on-site, though Allue recommends only ordering a week’s worth to keep their freshness. Plus, they’ll soon be opening a hidden second floor, too. 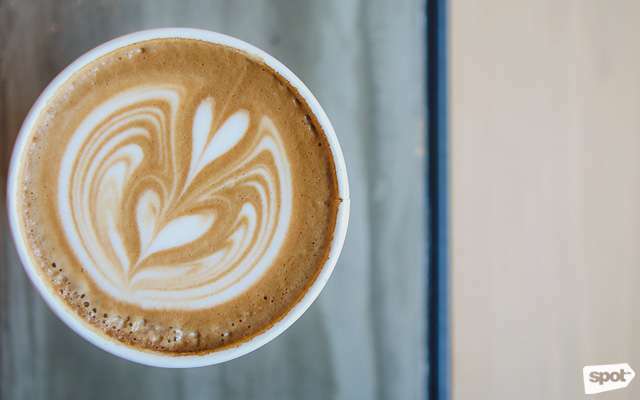 Looks like you have a new coffee sanctuary, caffeine junkies.